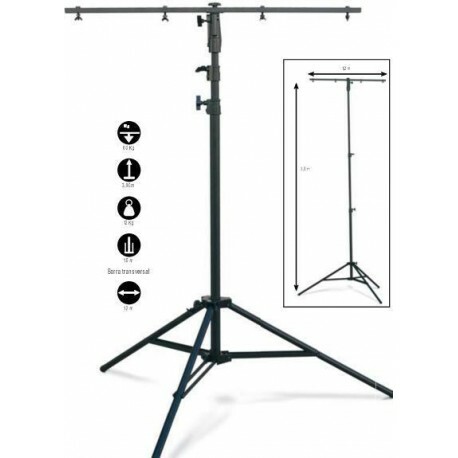 Tower Height 3.80 m and 60 kg Supports Max. LW126 is made of iron and black finish, has heavy duty folding legs capable of supporting up to 60 kg. 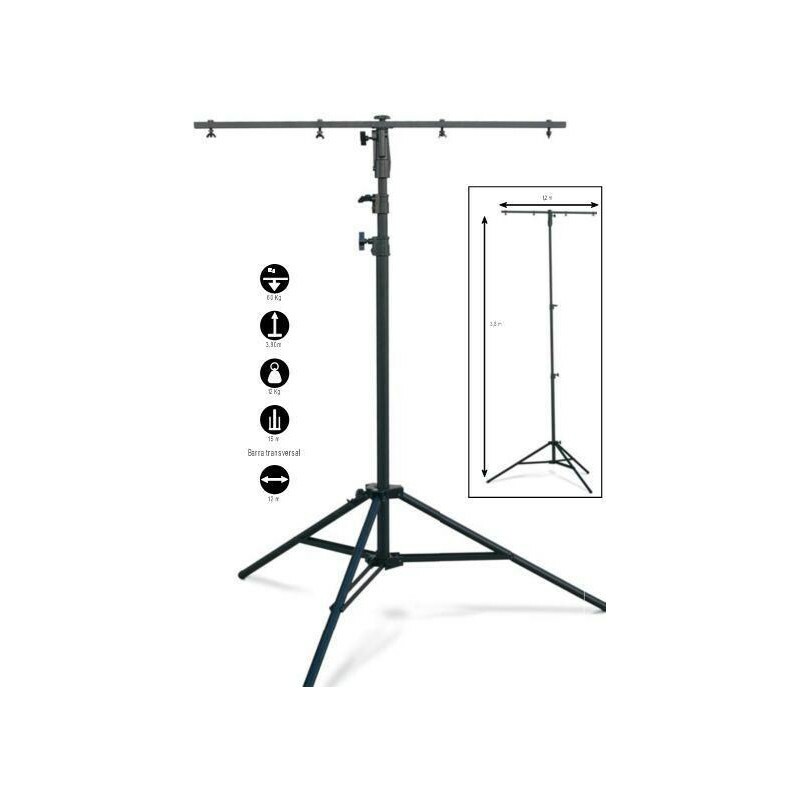 It has a central deployment stretch fijación.En moths incorporates an upper fastening point for the crossbar included, which can be adapted to the light sources 4. Its maximum height is 3.80 meters.